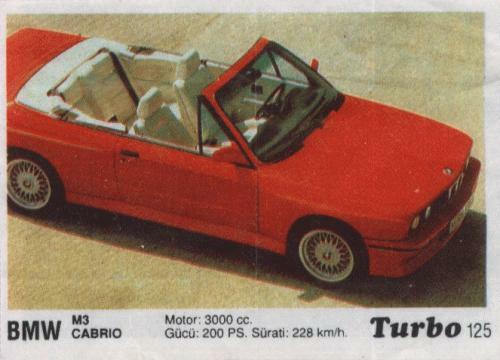 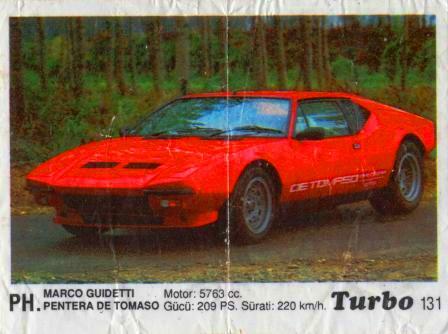 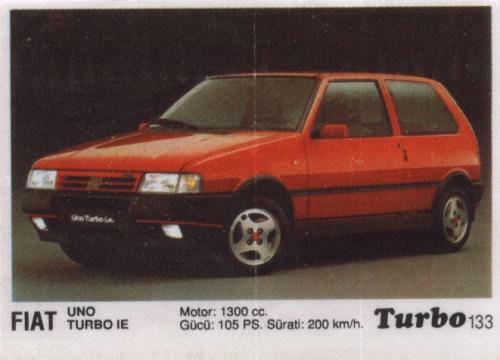 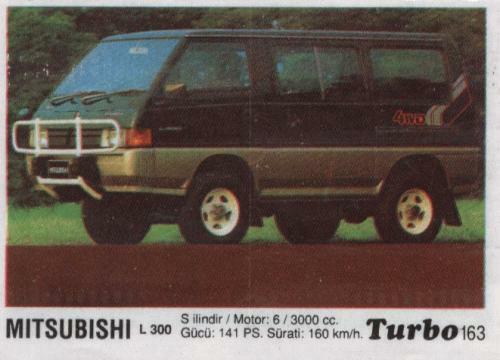 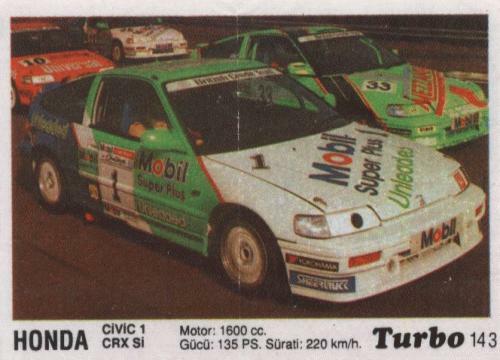 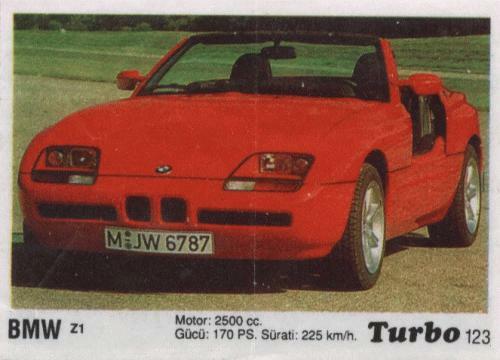 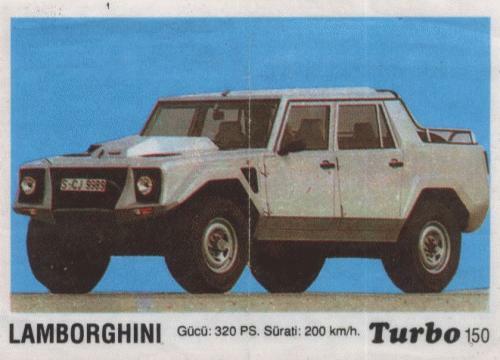 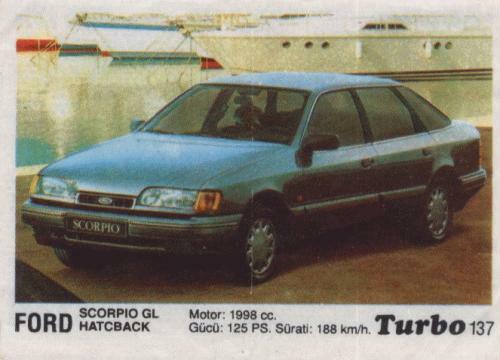 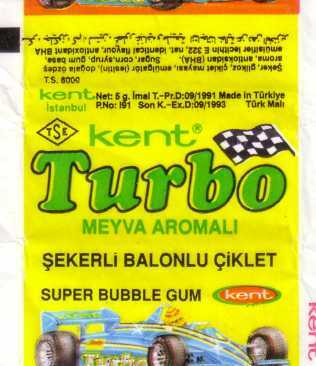 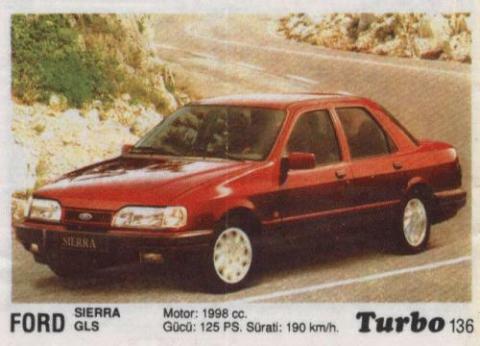 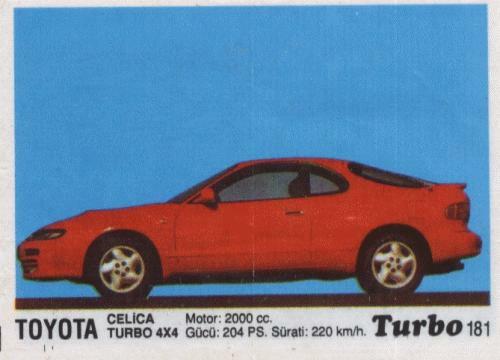 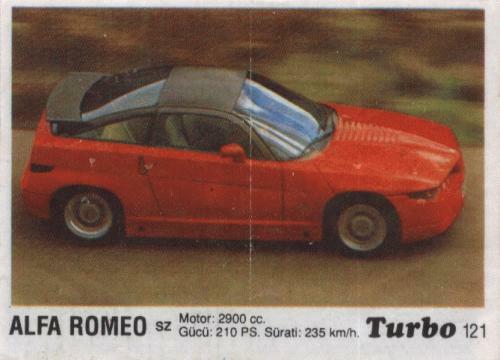 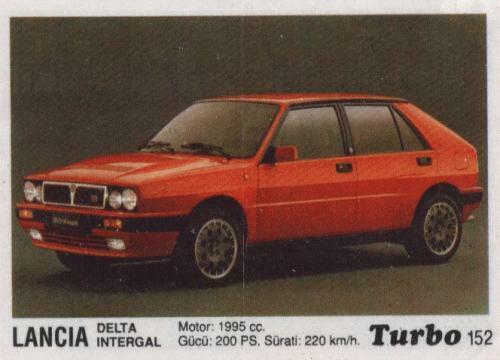 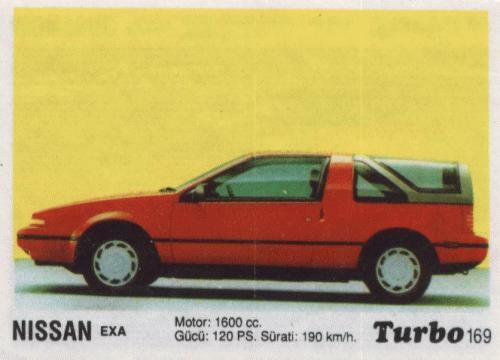 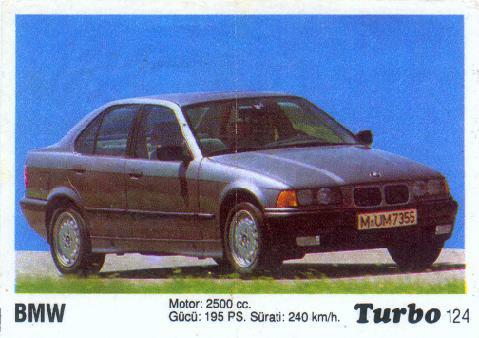 Turbo 121-190, T3 or Third series. 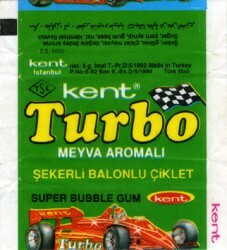 Wide produced from 1990 till end 1991. 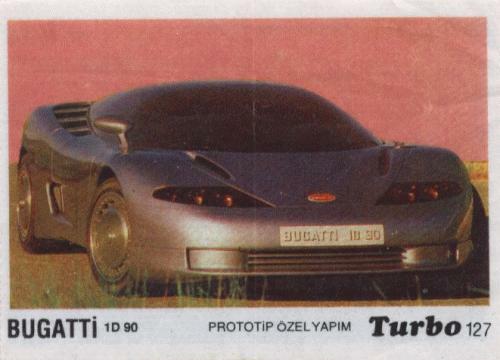 All cars in alphabetic order by numbers, names in black colors, number placed on right from name, characteristics in 2 rows. 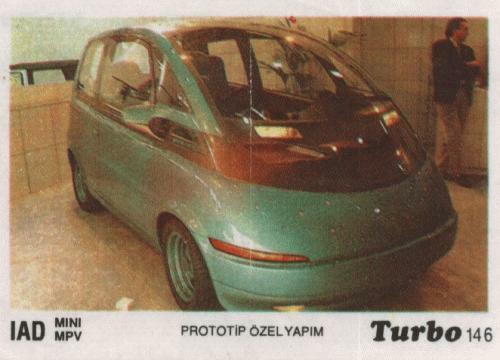 Appears many prototypes in this series . 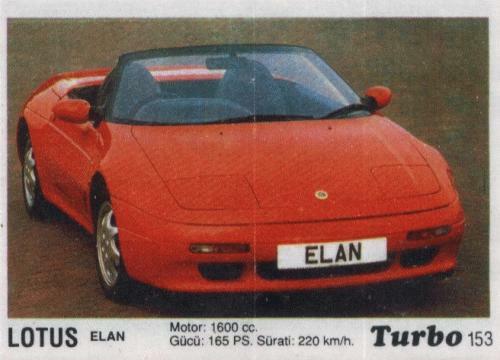 Early covers of 3rd series from 1991 was without TSE in romb, letters TSE appears in 1991 and was on all covers from next series. 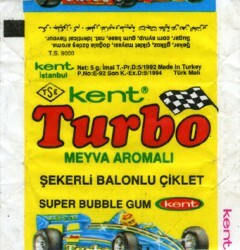 TSE means Turkish Standards Institution (TSE) -Turkish Quality Certificatre. 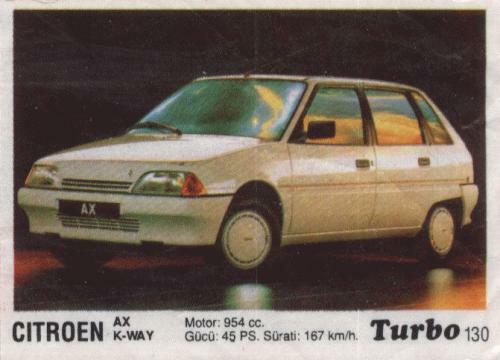 124 – car name with appendix 318 and without. 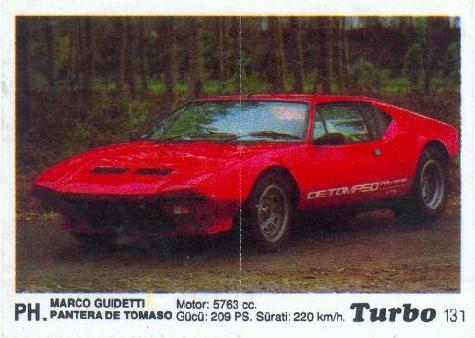 131 – car name Pantera and Pentera. 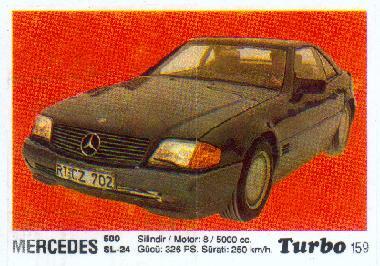 144 – engine volume 1500 cc indicated and not. 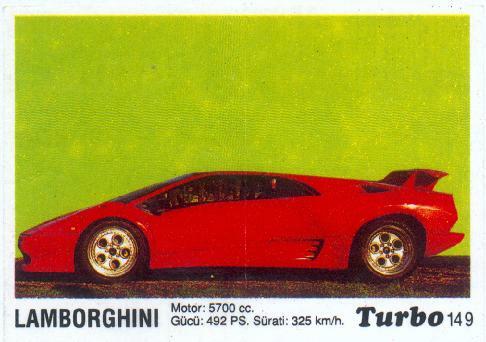 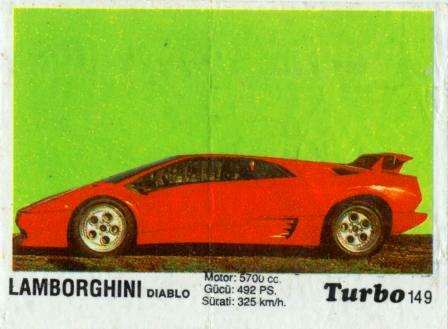 149 – car name with Diablo and without. 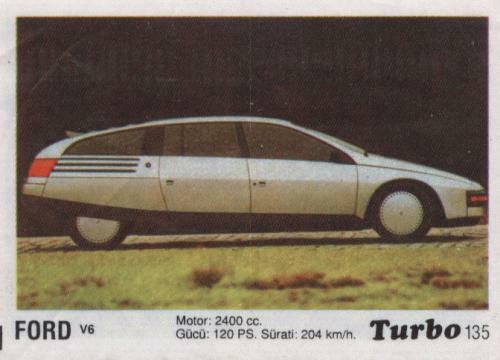 159 – car model 300 and 500. 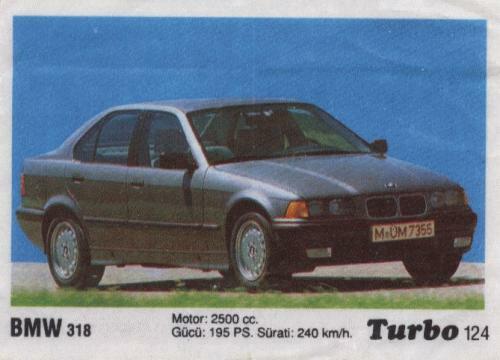 186 - 14000cc, maybe this error wasn't fixed. 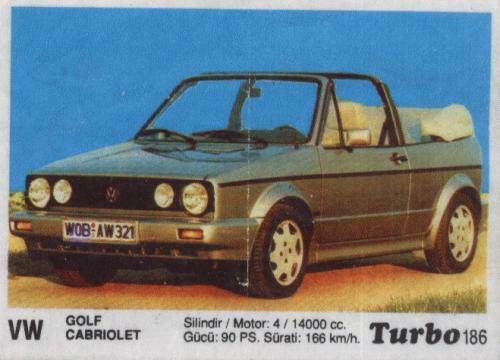 188 – car name Volkswagen and Voltswagen. 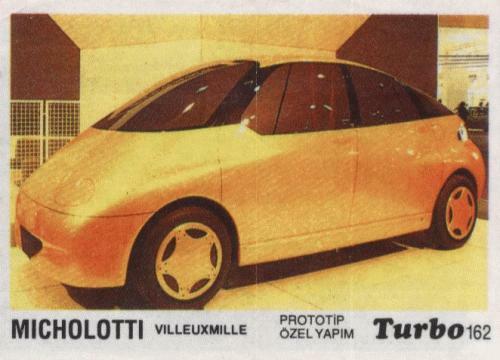 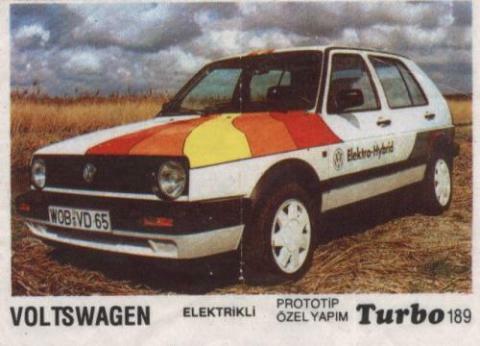 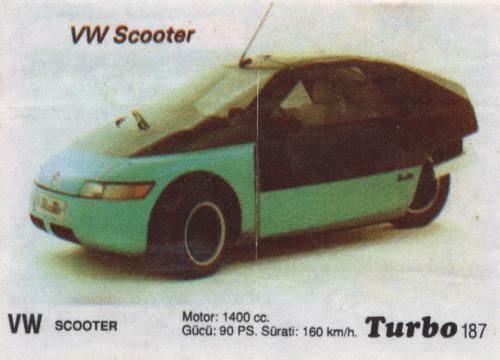 189 – car name Voltswagen not error, is real electro-car. 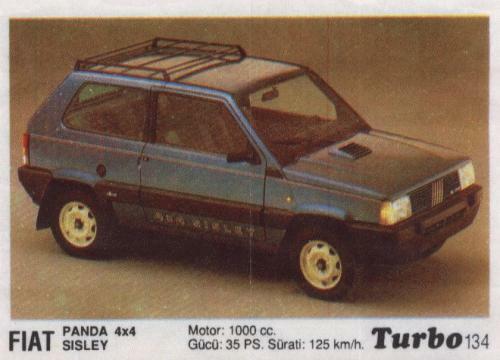 Numbers 124 and 144 appears with black rectangles on car characteristics. 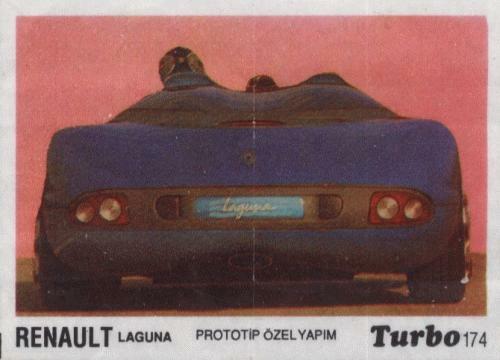 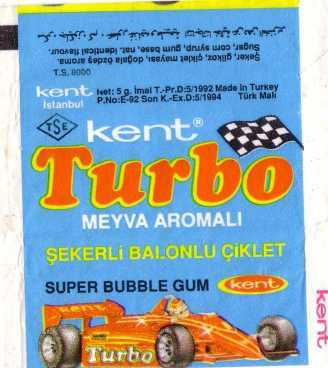 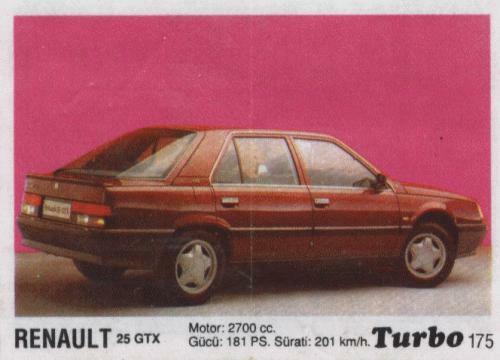 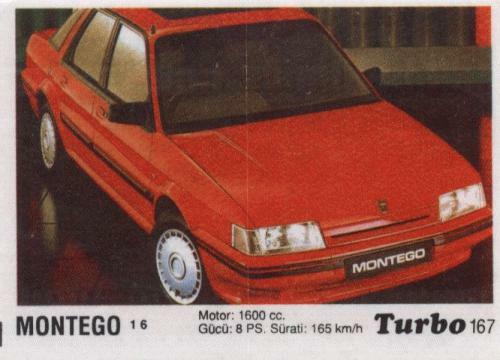 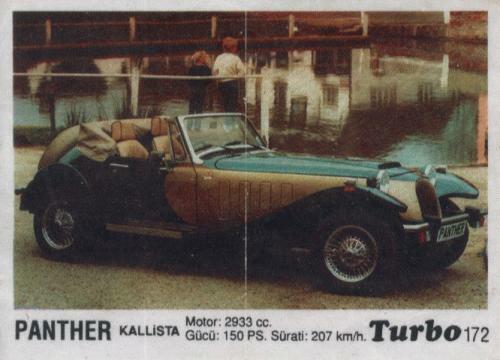 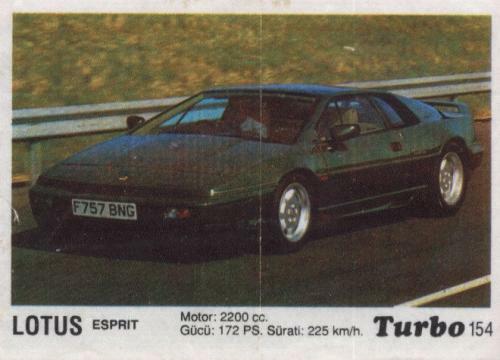 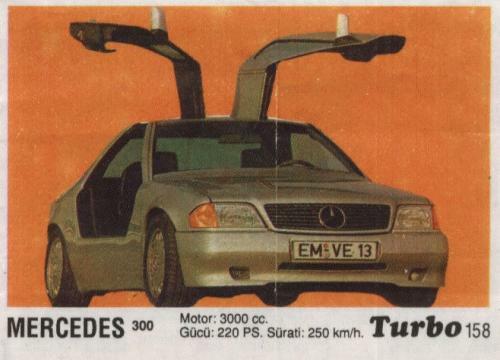 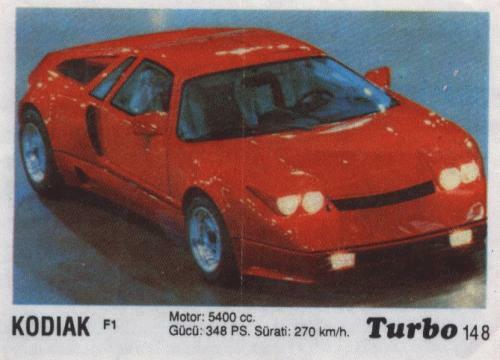 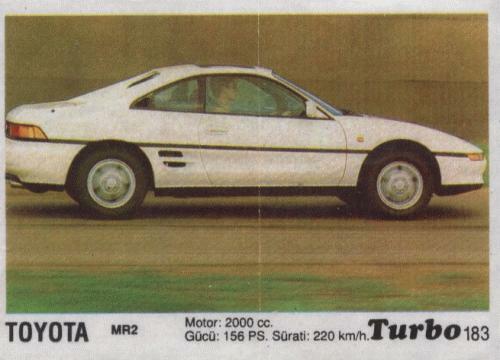 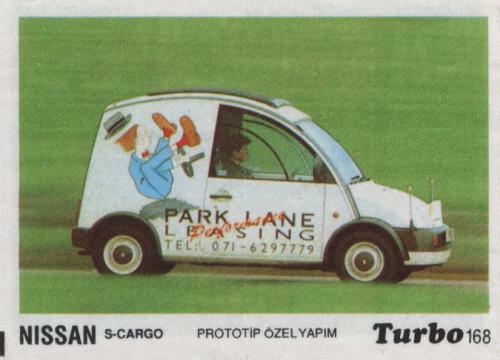 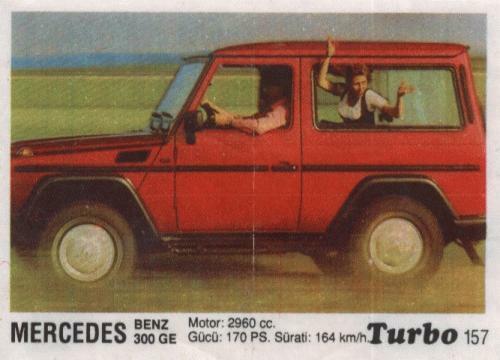 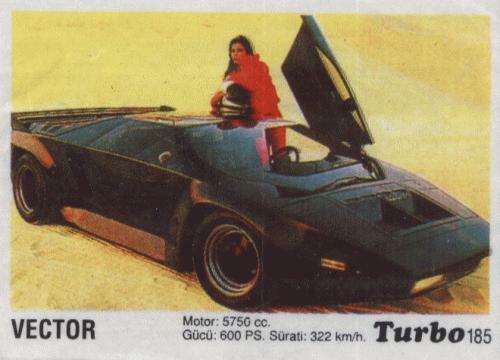 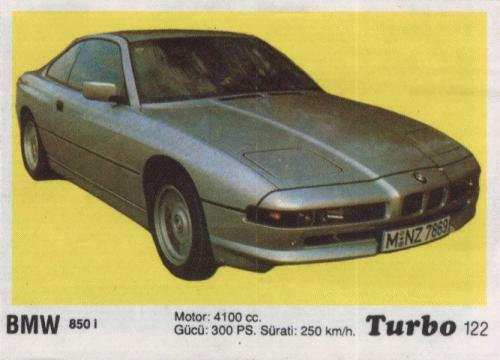 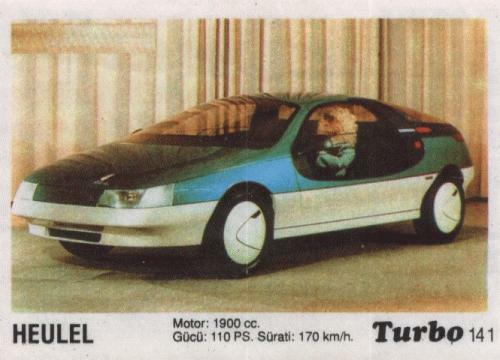 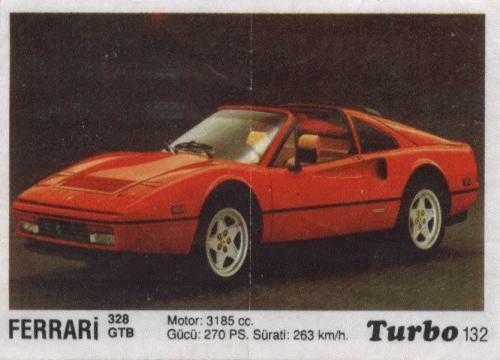 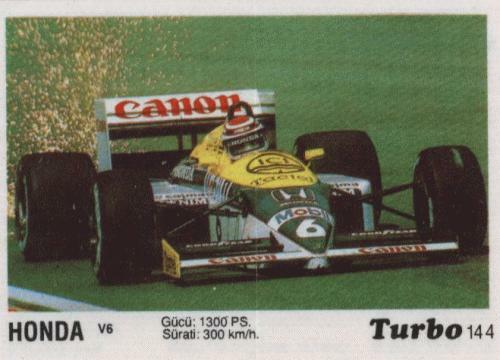 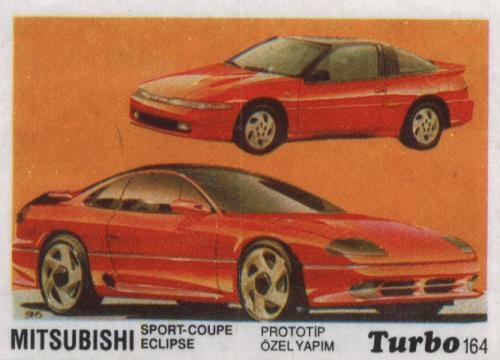 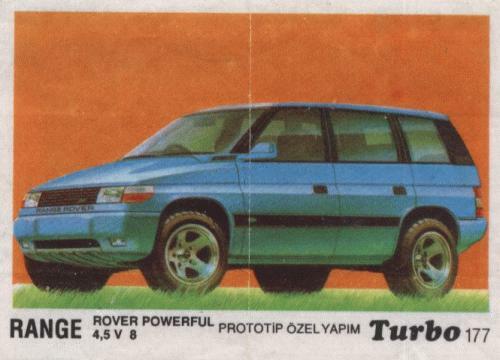 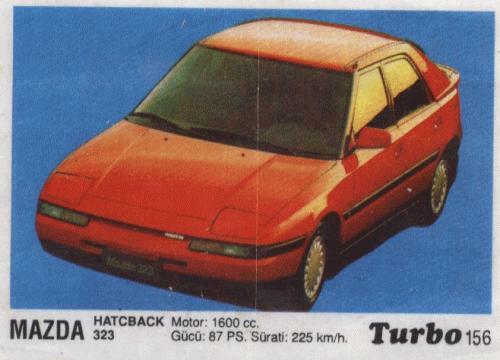 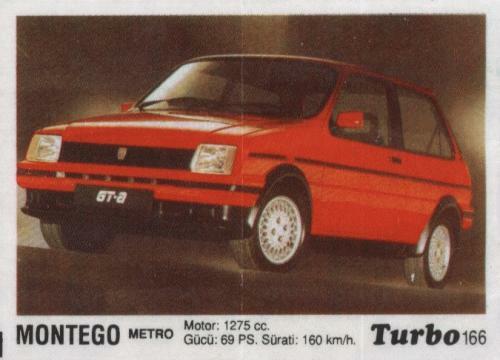 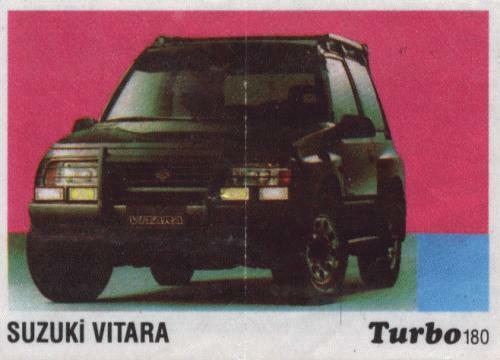 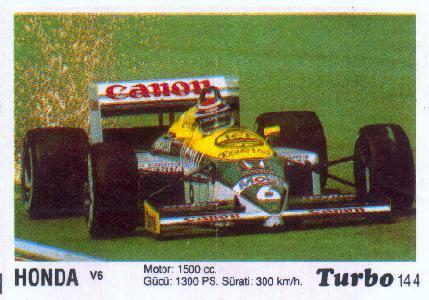 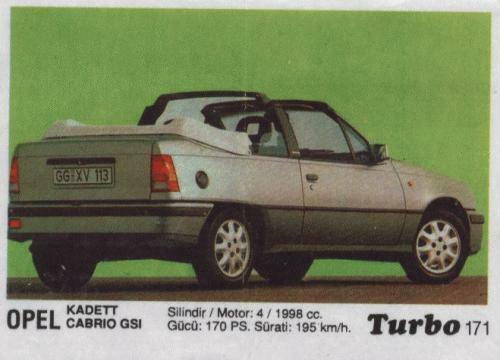 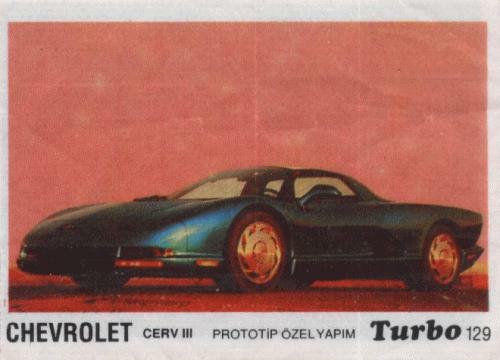 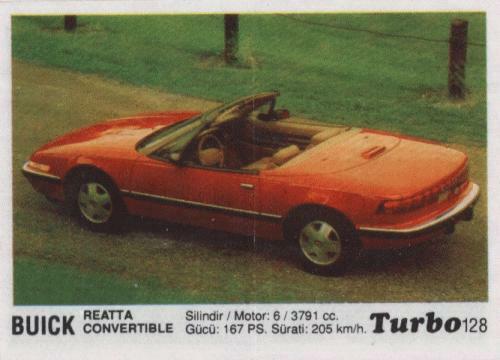 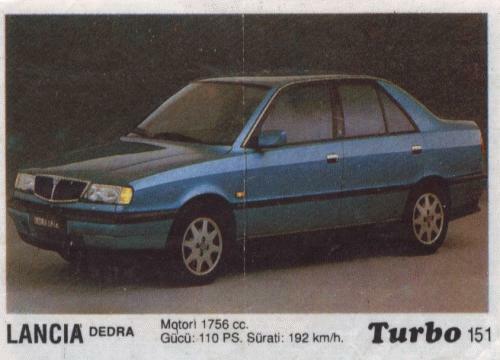 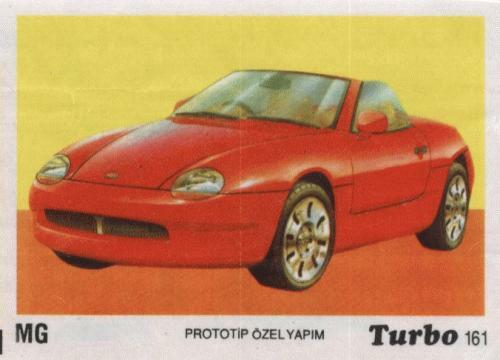 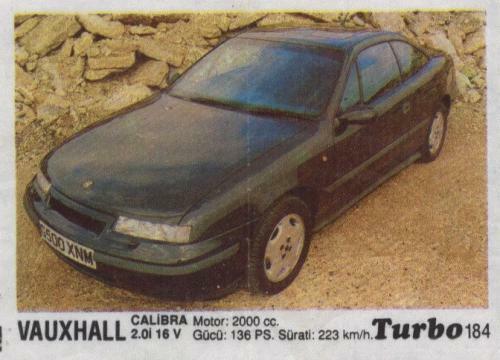 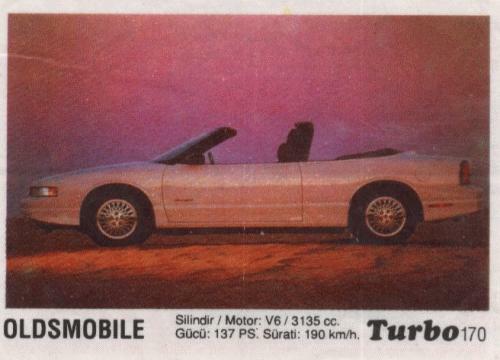 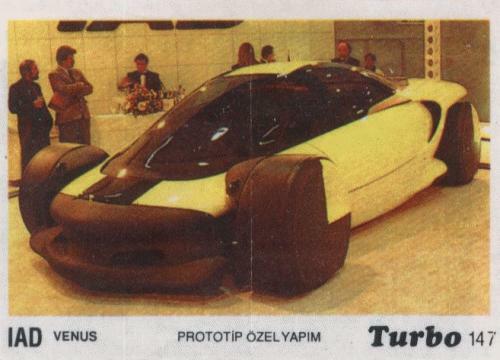 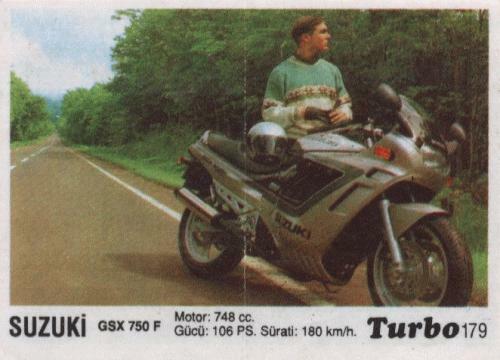 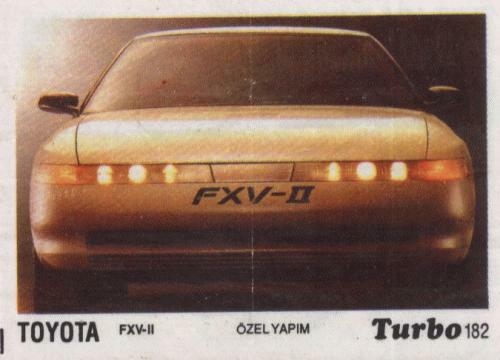 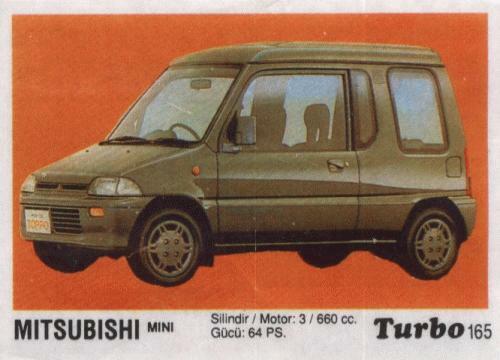 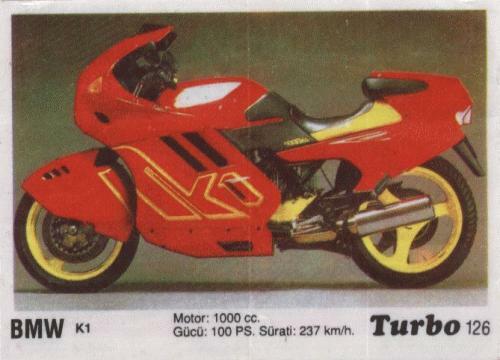 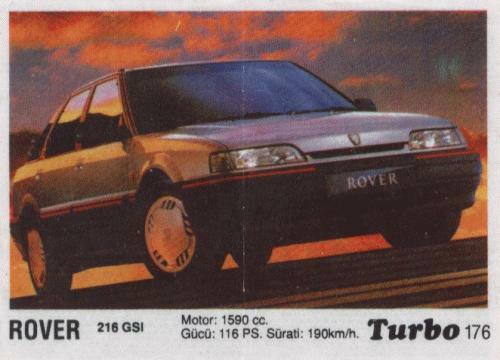 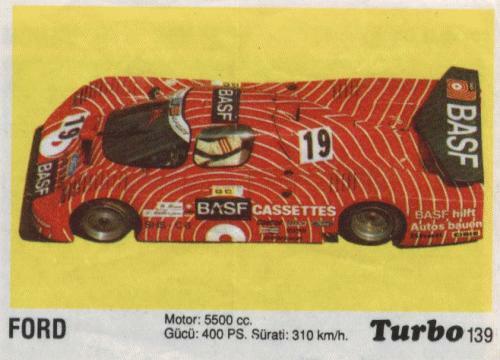 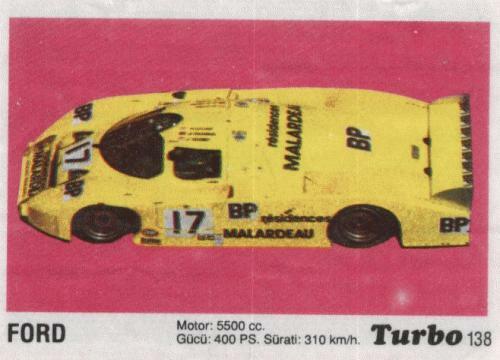 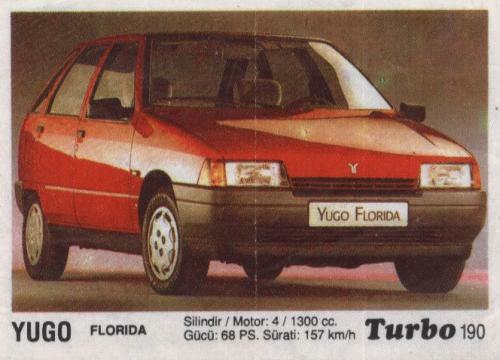 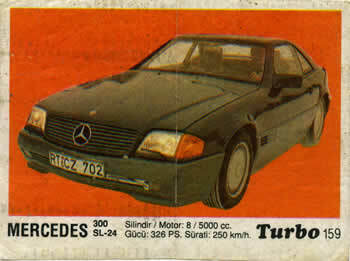 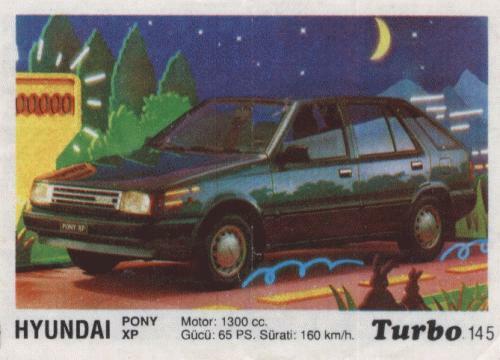 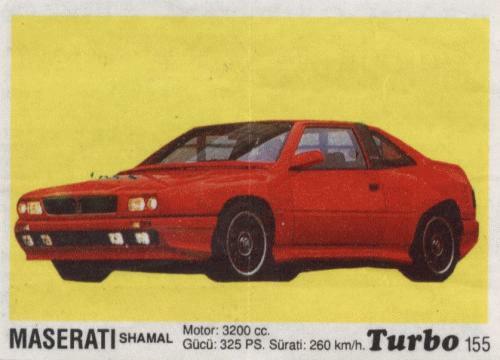 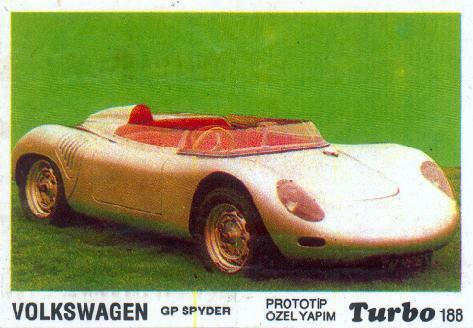 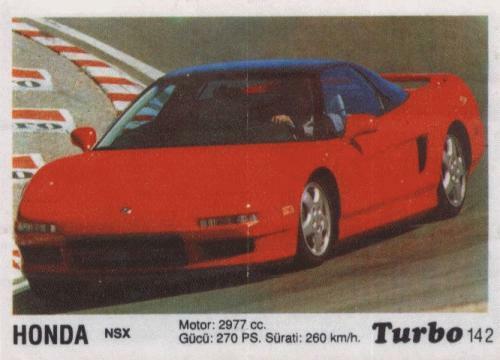 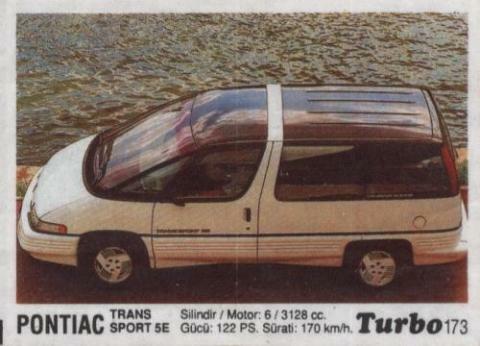 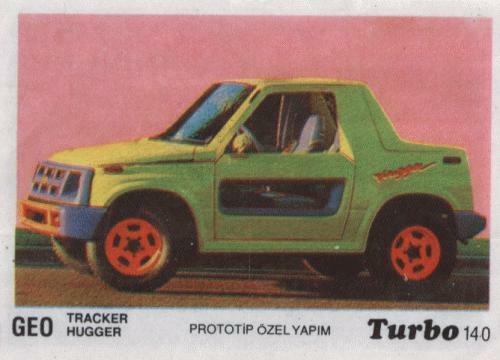 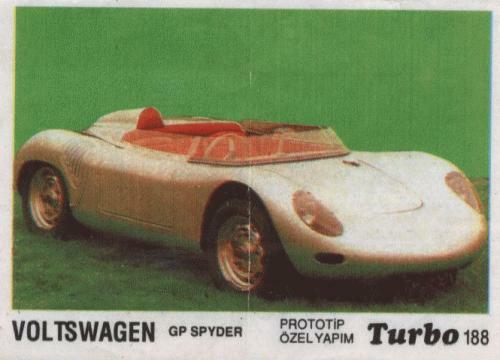 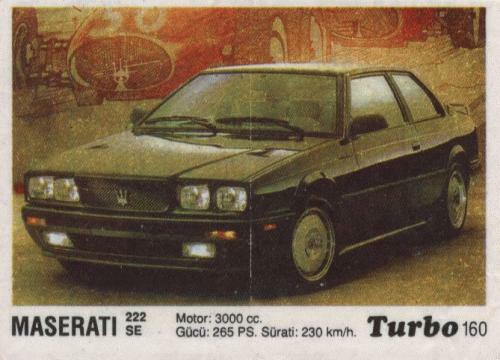 Ads poster in turkish from february 1992. 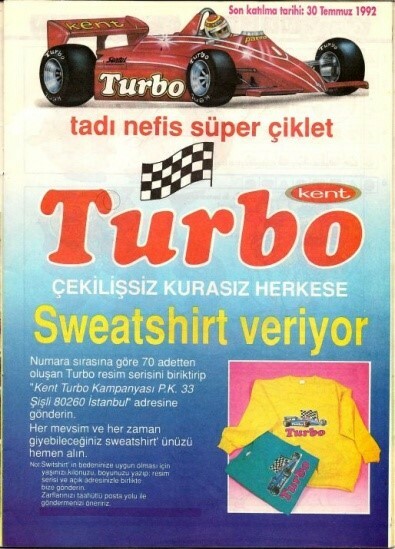 Written - collect 70 pieces (full series), send complete series to Kent and You will obtain t-shirt of your preferred color. 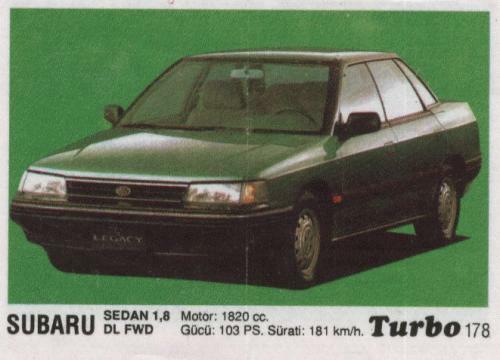 "Son katilma tarihi: 30 Temmuz 1992" are translated as"Application deadline: until 30 july 1992".